Theatre holds a very special place in my heart. Throughout my life I often found escape in movies and spent much of my holidays and weekends in the cinemas, watching old classics and new blockbusters alike. My favourite cinemas, by far, would have to be the older, classic style cinemas that have been restored over the years; the air of class and sophistication created by the use of crimson curtains and golden arched ceilings, some even going as far as to recreate candelabra lighting with modern light fixtures. Of course, no other cinema can stand up to the authenticity of the Majestic Theatre in Pamona. 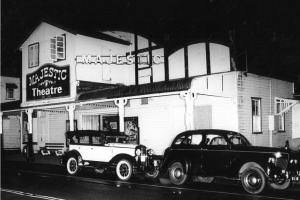 This amazing part of history is quite literally known around the world for being one of the only Pre-World War 2, silent film era styled cinemas still in operation today. 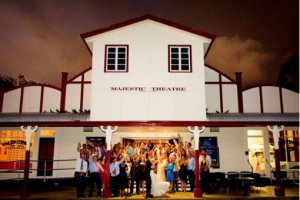 It is also one of the oldest theatres still opening its doors to the Australian public and offering punters the opportunity to experience silver screen legends and the silent giants. 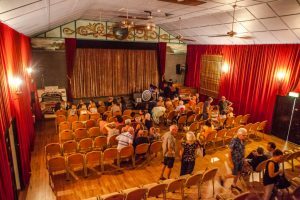 The theatre itself was originally designed as a ‘social hall’ with attached shops, way back in 1921, and although it has recently undergone some refurbishment, the design, layout and style of the original and authentic rural picture theatre of the silent film era is still very much alive. 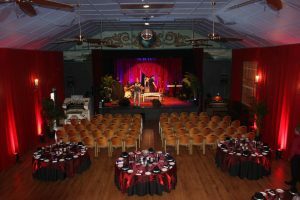 The hall was designed to serve several functions: to show silent movies, for vaudeville productions and to act as a social centre for the town. Over time it served as a venue for dances, balls, concerts, wedding functions, roller-skating, boxing, and church services. The walls literally figuratively drip with a history of Australian society through the decades. An exciting new addition is currently under works for this amazing relic of our history. Plans have been put into motion to create an alfresco style dining experience in the beautiful garden surrounds. In addition, large, sliding doors have been built into the building, that when opened up will allow diners to view performances and presentations from their outdoor seating. This will quite literally open the doors to a number of unique live performance/dining experience options in the near future, once work is completed. For enthusiasts there are regular showings of silent films at the theatres, but if you and 19 of your best buddies have the inclination, you can host a silent film night just for you. The Majestic Theatre has a large selection of silent silver screen classics, from comedies to romances, many of which will be accompanied by an authentic organ player live on the night. 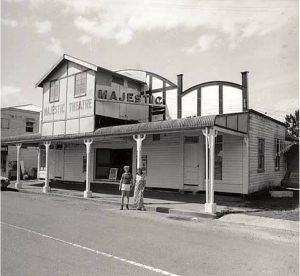 For more information on booking a silent film night, or just the theatre and restaurant visit the Majestic Theatre Website.